Brexit and SIPPs; How will leaving the EU affect expat pensions? 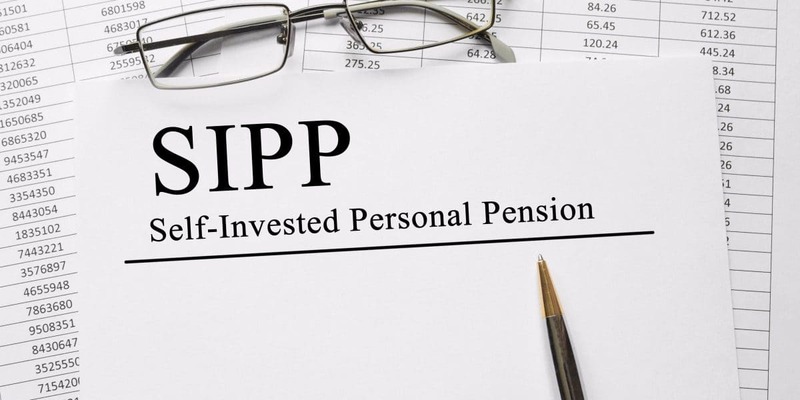 Brexit and SIPPs – Many expatriates either have Self Invested Personal Pensions (SIPPs) or Personal Pensions (PPs) dating back to when they worked in the UK. Whilst they are a good way to save for retirement, when someone moves abroad for work or to retire, it is possible that changes need to be made in order to make them more suitable for their new situation. Having pension benefits invested and denominated in Sterling may turn out to be unwise if the pound devalues further in a post-Brexit world. Death benefits could be taxable at 45% of any lump sum payments and Lifetime Allowance (LTA) tax charges could be levied for those with pension pots in excess of £1m (for tax year 2017/18). Similarly, the Overseas Transfer Charge (OTC) of 25% is likely to be charged on pension transfers of anyone living outside the EEA. Whilst it may not be practical for everyone to completely avoid these issues, many can by making a simple adjustment to their scheme or general pension planning. International SIPPs have been developed to give people more options regarding their currency of denomination and investment. Many SIPPs and PPs have a relatively restricted list of possible non-Sterling funds available to investors. This means that holders are faced with the choice of either accepting the currency risk or having to select inferior Euro and/or US$ funds. International SIPPs solve this problem by allowing access to (almost) any fund available globally. Personal pensions are often restricted to Sterling based insurance company funds only. Whilst there are some very good insurance funds, generally they aren’t as well managed as specialist fund managers’ offerings. Lump sum death benefit taxation is penal and unreclaimable. This charge applies when the pension-holder passes away after age 75 and the remaining fund is paid to beneficiaries as a lump sum. Moving to an international SIPP won’t solve this problem. For those with larger pension pots, a QROPS is a better option. For those with smaller pension pots, survivors should consider taking benefits as an income. This way, the 45% lump sum tax won’t apply and recipients would be taxed in the country in which they live at standard rates. Alternatively, a SIPP could be held until later in life then transferred into a QROPS if there are tax benefits at the time. QROPS are generally only suitable for those with pension pots worth in excess of £100k. A transfer to a SIPP might be the best route for someone with personal pensions of that value initially, but a QROPS could be justified as and when the value increases. Within the EU/EEA, dual taxation treaties exist which ensure that tax will not be charged twice. However, anyone living or retiring outside this area should check the DTT to make sure they won’t be adversely affected. With no DTT in place, it’s possible that the UK will withhold tax at the basic rate and your country of residence will also tax the same money. Whilst it may be possible to reclaim the UK tax, it isn’t guaranteed for all territories and might involve paying a tax accountant to do it for you. International SIPPs are the only way to avoid the Overseas Transfer Charge for those living outside the EU/EEA. For example, if someone were to retire to the USA, with the aim of never returning to the UK, it would make sense to transfer their pension into a US$ environment. This isn’t possible for defined benefit pension holders. As such, the only way to eliminate currency risk (assuming it’s also in their interests to give up safeguarded benefits), and avoid the OTC, is to transfer to an international SIPP. A QROPS would not be appropriate due to the individual being based outside of the UK; this means that the OTC would apply. So, where does Brexit fit in? First, no one knows how Sterling will fare when the UK is outside the EU. For anyone retiring or living outside the UK it therefore makes sense to eliminate currency risk completely by investing their pension in the currency they use from day-to-day. Some may still retain costs in the UK and perhaps other countries. In this case a natural hedge can be created by investing in a basket of currencies, including Sterling, Euros and US$. There is a real risk that the legislation regarding the OTC could apply to pension transfers out of the UK, if EEA membership isn’t continued. The current legislation does state that transfers to an EEA country are not subject to the charge, however this may change to all countries post-Brexit. Options for UK pension-holders include either transferring to a QROPS before Brexit day, or, depending on overall circumstances, an international SIPP. There are no definitive answers to how things will look after the UK has fully left the EU. What we do know, however, is that we must all ask ourselves the questions relevant to our pension planning and find the best route forward. This could well include considering changing to an international SIPP.